Frank Ocean has released a new visual album today (19.08.16) - and is to drop more music this weekend. The 28-year-old singer put out a mysterious new 18-track record called 'Endless' via Apple Music on Friday, on which Radiohead's Jonny Greenwood is credited as a string orchestrator on the song 'At Your Best (You Are Love)'. 'Endless' features James Blake on track 'At Your Best', and there are violins, double basses, violas and cellos from London Contemporary Orchestra on the record. The star is also due to finally release his long-awaited new album 'Boys Don't Cry' "this weekend" following several delays. However, according to Rolling Stone, Frank has changed the title. An Apple Music rep told Pitchfork: "Keep an eye out this weekend for more from Frank." These latest reports come after Frank was due to drop the hotly-anticipated LP on Friday August 5 but it never appeared. At the time it was said the 'Thinking Bout You' hitmaker's forthcoming record will remain exclusive to Apple Music for 14 days before it is released elsewhere. He was previously due to drop the LP in July 2015 and then July this year before the August 5 date materialised. 'Boys Don't Cry' will be Ocean's first full-length major label album since 'channel ORANGE' was released in July 2012 but he has worked alongside other artists in between the release of the two records. Another member of Celine Dion's family is battling cancer, the same disease her late father, brother and husband suffered. De La Soul appear on the new Gorillaz album. Coldplay have unveiled the video for their latest single, ‘A Head Full Of Dreams’. Watch it below. Singer Anastacia is set to show off her fancy footwork as a contestant on British TV show Strictly Come Dancing. Jon Bon Jovi and former bandmate Richie Sambora ended feud rumours on Thursday (18Aug16) by exchanging kind words on Twitter. Calvin Harris has once again topped Forbes’ list of highest paid DJs in the world. Craig David has announced his new LP 'Following My Intuition' will be released on September 30. Mollie King's debut solo album is a "heartbreak album". 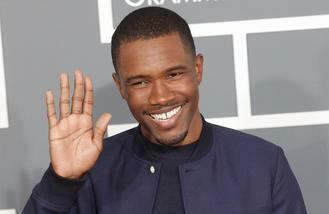 R&B star Frank Ocean delighted fans on Thursday (18Aug16) when he released visual album Endless.